Debbie was the optimist. She has a spring in her step and is really upbeat and has all the qualities you associate with her, and Carrie would be shuffling around in a bathrobe and slippers muttering under her breath. So cynical! It was a real Felix-and-Oscar disparity between their personalities, and yet in many, many ways they were alike. 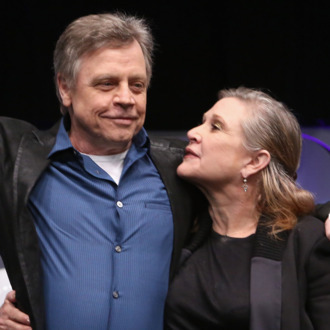 Despite their different outlooks on life, Hamill described both as nurturing personalities, saying, “They were both really mothering types, both opinionated and determined. Carrie’s mom was like everybody’s mom. If you were in her house, Debbie was your mother.” Hamill’s full remarks will be in EW’s next print edition, but in the meantime, you can read his Facebook post on Fisher’s death below and cry remembering that the world has one less badass joining us for 2017.